FALL RIVER, Mass. 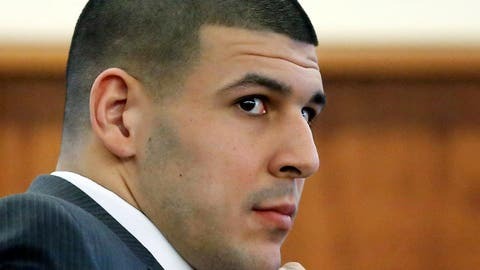 — There are two doors at the back of Courtroom 7, and through nearly 36 hours of deliberations in the Aaron Hernandez murder case, the metallic clack of a door handle would get the attention of everyone in the room. It happened countless times each day. A court clerk entering to do some work. A security officer returning from a break. A court reporter stepping in to grab something off her desk. Each time, the reporters occupying three rows on one side of the courtroom would look up, recognize the moment for what it was — an innocuous tension-breaker — and return to their laptops or their reading. “I think something’s up,” said Travis Andersen, a reporter for the Boston Globe. Court officer Ralph Tavares, famous for his and his four brothers’ Grammy-winning rendition of “More Than a Woman” from “Saturday Night Fever,” walked to the short wall that separated the court and the attorneys from the public. “We have a verdict,” he said simply. It was precisely 10:07 a.m. The jurors — seven women and five men — had been out for parts of seven days, considering the testimony of 135 witnesses and 439 exhibits, some of them hundreds of pages long. How Aaron Hernandez went from football star to convicted murderer. Through 47 days of the trial, Hernandez would swagger into the courtroom each morning and take a seat at one of two tables on the defense’s side of the room, next to one of his attorneys, Charles Rankin. Sometimes he’d offer defense attorney Michael Fee a fist bump. Hernandez had lived a comfortable life for a man being held without bail and facing a first-degree murder charge. Judge E. Susan Garsh referred to him, always, as “Mr. Hernandez.” Tavares and other court officers tied his tie each morning — he preferred a double windsor and didn’t know how to pull that off. He poured himself water into a plastic cup when he was thirsty. He joked and laughed when the jury wasn’t in the room. He turned around often to mouth, “I love you,” to family members in the front row of the gallery. Now he was brought in through the side door that leads to the secure section of the courthouse where inmates are kept, and remained standing. Several court security officers surrounded him. 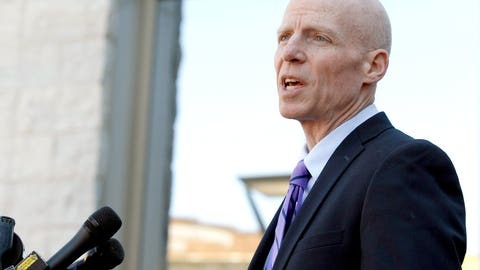 Defense attorney James Sultan, a bulldog whose combative style was on display during his cross examinations of numerous police officers, spoke. “Your honor, may we stand with our client?” Sultan asked. “You may, of course,” Garsh said. Hernandez’s attorneys stood by their client as he learned his fate. One of the doors at the back of the courtroom opened. The jurors filed in. Not one of them looked in Hernandez’s direction. The jury’s foreperson — a woman named Lesa Strachan — handed a shuffle of papers to a court officer, who handed them to Ferriera, who handed them to the judge. After Judge Garsh looked over the papers, she handed them back to Ferriera. Nearly two seconds passed, the tension palpable. “Guilty of murder in the first-degree,” Strachan answered, and an audible gasp of relief and emotion erupted from several members of Lloyd’s family in the front row, where they had maintained their vigil throughout the trial, closest to the jury box. 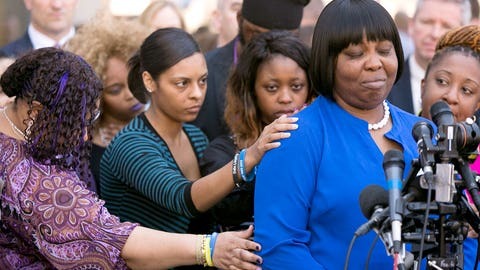 Among them was Shaneah Jenkins, the young woman who put herself through college and is now attending law school, the young woman who was dating Lloyd and whose emotional testimony had riveted the courtroom. Fewer than 15 feet away sat her sister, Shayanna Jenkins — Hernandez’s fiancée and the woman suspected of secreting the murder weapon out of the home they shared. Shayanna burst into uncontrollable sobs and collapsed against Hernandez’s mother, Terri Hernandez, who cried quietly. The jangling of chains as a court officer shackled first Hernandez’s wrists, then his ankles. It was a little after noon when the prosecutors and Lloyd’s family emerged through the glass-and-aluminum façade of the Fall River Justice Center to address the horde of reporters, some of whom had been here since jury selection began Jan. 9, some of whom had raced the 45 miles from Boston to this former mill town. Odin Lloyd’s mother, Ursula, thanked prosecutors, investigators and jurors for convicting her son’s muderer. Ursula Ward, Lloyd’s mother and a stalwart presence in the first seat of the front row on the prosecution’s side of the courtroom, stepped to the microphone. Earlier in the courtroom, Ward told Judge Garsh that Lloyd was her only son, that she would never know the joy of seeing him married, never know the serenity of holding his children. Now, as she thanked the police investigators and prosecutors and jurors, a cacophony arose out on the street in front of the courthouse. A police officer’s siren whooped, and a white van carrying Hernandez to prison, where he will spend the rest of his natural life, pulled past. Along the sidewalks, people cheered — some derisively, some apparently out of genuine affection — for the man who not so long ago dazzled them with his ability to catch passes, break tackles, score touchdowns. A short time later, two of Hernandez’s attorneys, Fee and Sultan, left from the building, and as they walked to their cars a handful of photographers broke free from the crowd and chased them while reporters peppered them with questions. First Assistant District Attorney William McCauley is a slender man with a shaved head and a pleasant demeanor outside the courtroom. In the courthouse hallways, he would stop and say, “Good morning,” when he ran into reporters. 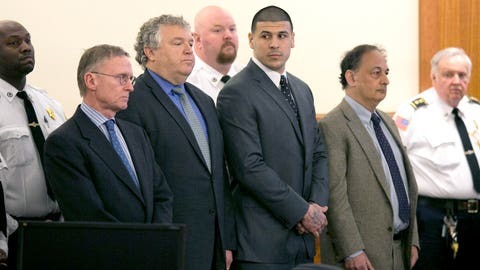 One day, he stopped Brian Fraga, a reporter for the Herald News in Fall River who has lived this story since Hernandez was implicated in Lloyd’s murder. First Assistant District Attorney William McCauley said he was relieved Wednesday when he heard the guilty verdict. Fraga had come down with the same crud that infected nearly everyone in the courtroom at one time or another. “Are you feeling better?” McCauley asked him. McCauley and fellow prosecutors Patrick Bomberg and Brian Griffin had been consumed by this case, often spending weekends in the office preparing. But inside the courtroom, McCauley was stern and serious, seldom backing down even in moments when it was clear he had tried the judge’s patience. McCauley allowed himself a smile.